Enjoy a simple meal of soup and bread. 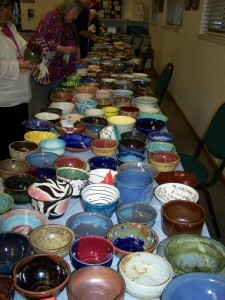 This year’s Empty Bowl event was our most successful one yet! Over 600 people enjoyed their choice of marvelous donated soups in beautiful handcrafted bowls that they then took home with them. To learn more, please visit our Empty Bowl page.